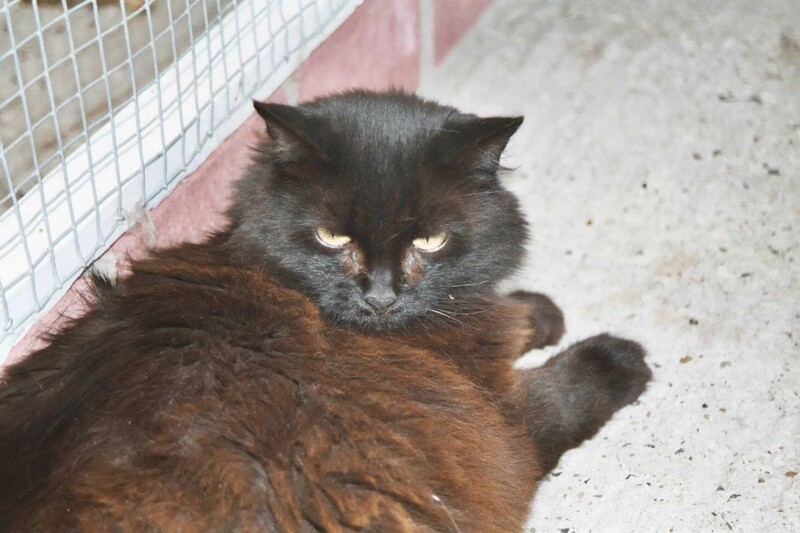 Felix Cat Rescue is an independent group formed in 1990 with the aim of rescuing and rehoming stray, abandoned or unwanted cats and kittens and those whose owners are unable to continue keeping them. We also aim to help in other ways with cat problems where possible, and to encourage neutering and spaying. 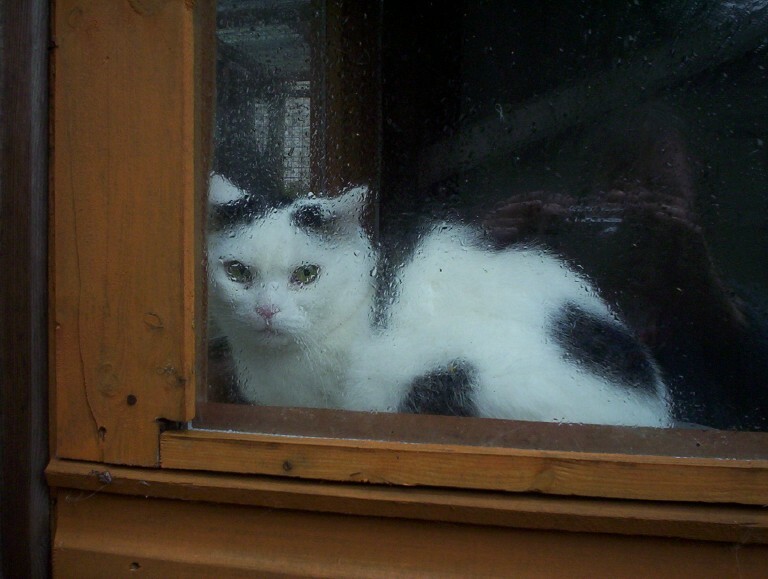 We never turn cats away on account of their age and there are no restrictions on the areas from which we accept them. 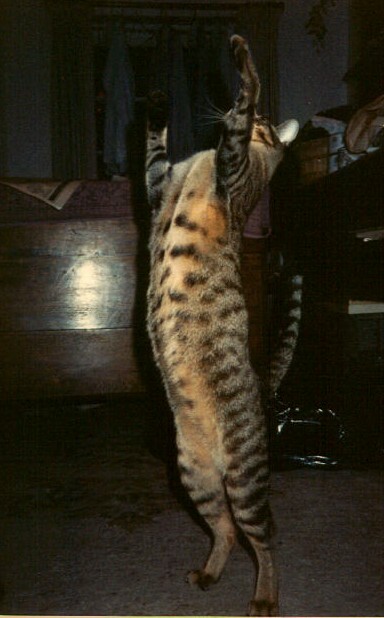 Cats in our care are never put down unless a veterinary surgeon advises that this is in the best interests of the cat. 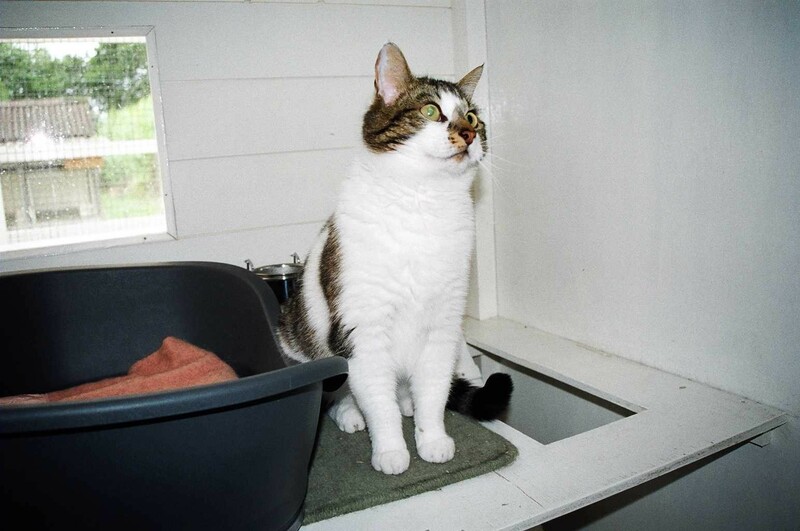 In 2000 we homed our 2000th cat, but the following year we had to move from the rescue centre in Churt which we had occupied since 1990. 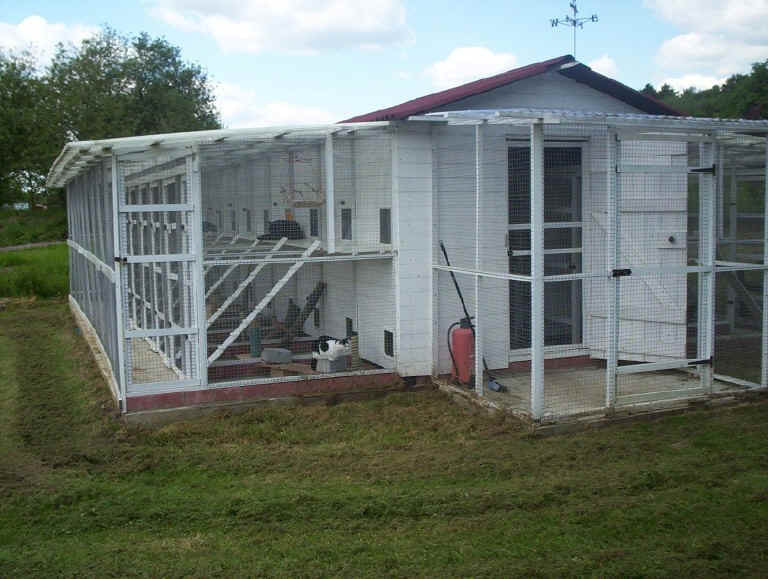 Our cats are now cared for in a boarding cattery near Guildford, where through the kindness of the owners, a special rescue building was erected in 2002 with the help of members. This contains 18 pens designed for adult cats and the kittens are fostered elsewhere. 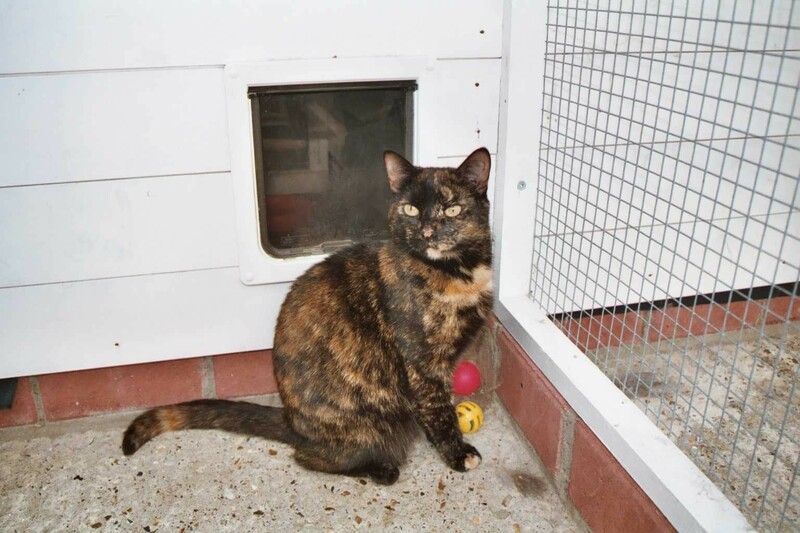 The cattery's rural setting gives the cats abundant fresh air and an attractive outlook, while the indoor pens are comfortable and warmed in winter. We take great care that each cat goes to a home which suits it's background and character. As an independent group we rely on varied activities and the support of our members to raise the necessary funds. Members help is also needed in other practical ways! We are very glad to welcome members who join out of their fondness for cats and a desire to support our work, but who are unable to offer any other form of help. We aim to maintain their interest through our quarterly newsletters which are sent out to every member. But we need practical help too, frequently with fund-raising (see News & Coming Events), and also from time to time, other forms of assistance. Membership subscriptions are £10 per year, £5 for senior citizens and £2.50 for juniors under 16. The Membership Year begins on 1st November. We try to find the right home for each cat by talking to prospective owners, visiting their homes to sort out any potential problems, (such as access to the house while the owner is out), and seeing how the cat and the people respond to each other when they meet. We also need to sure of people's commitment to their pets and their ability to give all the care necessary for the cat's health and happiness. In the case of kittens, owners must undertake to have them neutered or spayed at the appropriate age. 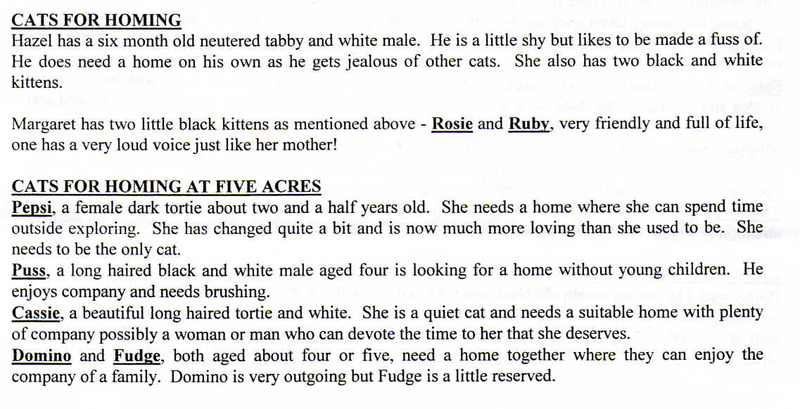 New owners complete an adoption form confirming their acceptance of responsibility, and we ask for a minimum donation of £55 for each cat adopted. Our cats are microchipped and neutered and this helps towards the cost of their care. We never lose interest in our cats and our active concern for them continues until we are sure that homings are successful. We also aim to take a cat back at a later date if the owners are unable to keep it. 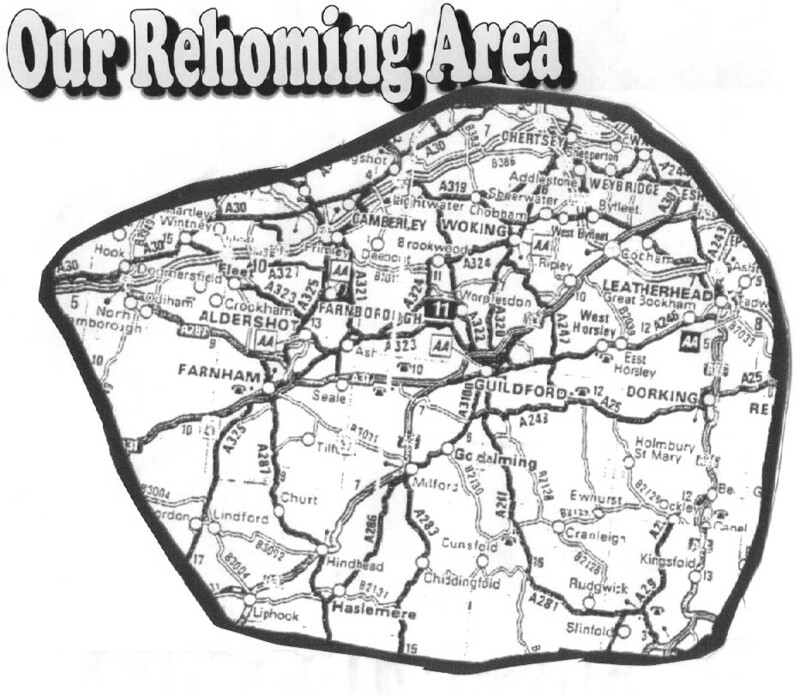 Because we need to visit potential homes we can only accept offers from approximately within the area shown below. Bailey & Tia Two six month old black and white kittens. 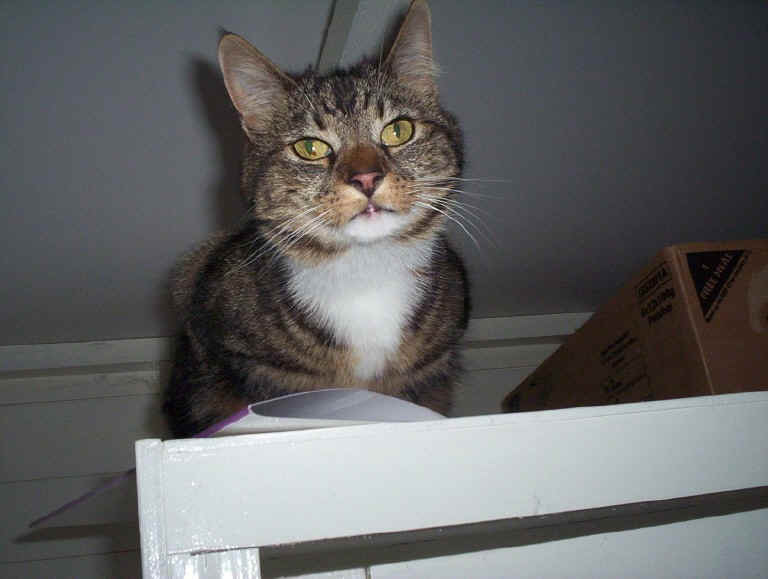 Bailey is a lovely affectionate boy (much loved by the staff at my vet's) while Tia is a gentle' shyer cat. 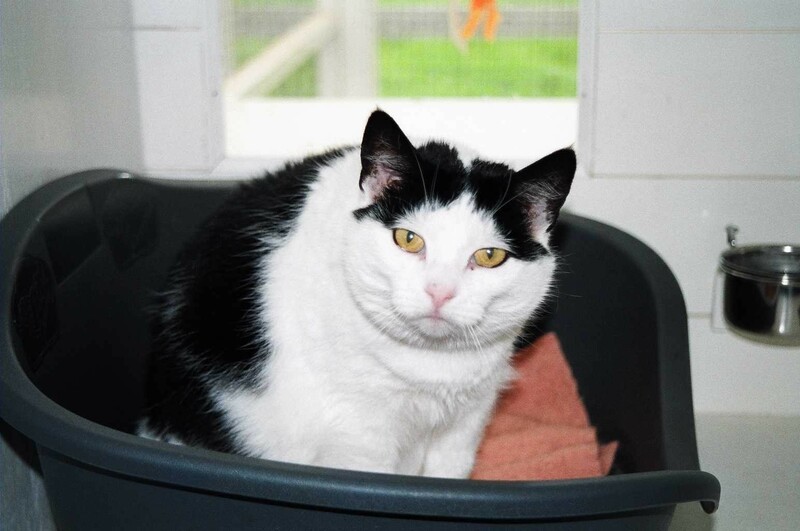 Cleo: aged 10, from a broken home, very affectionate but needs understanding and a quiet home with mature people, and as the only pet. Jessie: aged 5 was found at Birdworld, showing an unhealthy interest in the residents. needs a quiet home, no dogs and no birds!! 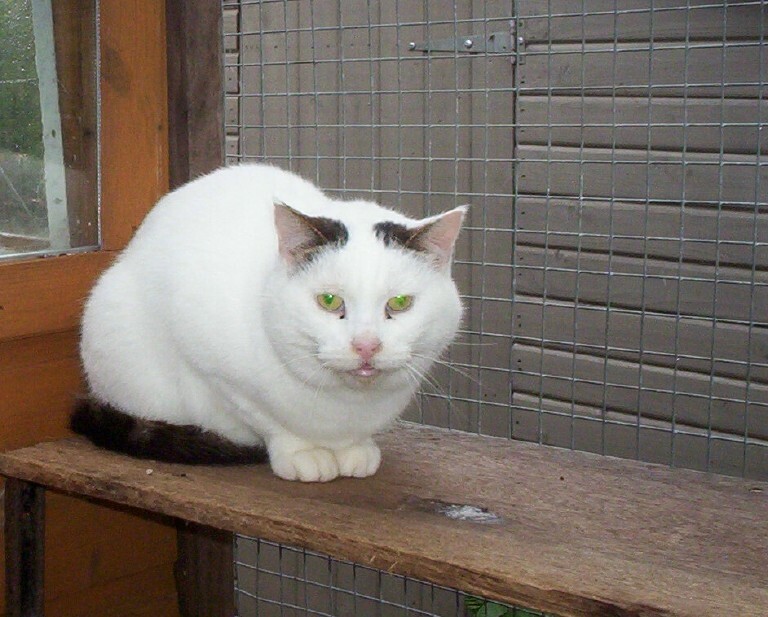 Harry: aged 4, Would like a home in the country so that he can enjoy quite a bit of freedom. No other cats, dogs or young children. Misty: aged 4, Very shy so needs a quiet home where she can have a one to one relationship. Chloe: aged 7, Affectionate but nervy. Would suit a quiet couple or person living alone. No other cats, dogs or children. Such cats need much love and encouragement. They may stay with us for years and draw heavily on our funds, but are never put down unless a vet advises that it is in the cat's best interests. 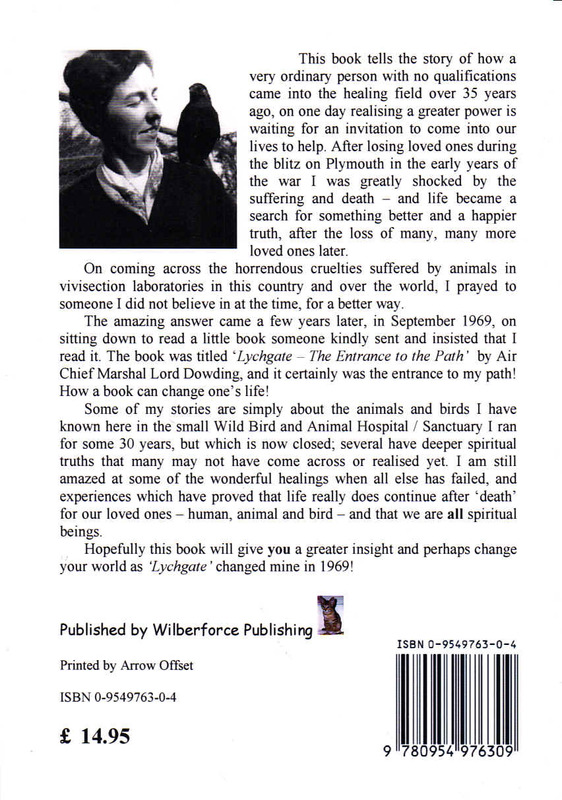 Most live with fosterers who have become devoted to them because they are usually full of character and have endearing ways. A special sponsorship scheme for these cats is one way of helping our group with it's essential work, and of forming a warm relationship with a cat that needs more than the normal amount of support. Several are shown here and if you would like to help one of them the scheme involves giving £10 or more annually which can be paid in instalments. Sponsors receive the group's quarterly newsletter including information about their cats. we would be very pleased if you would ring Liz Wilson on 01483 424096 for more details and a sponsorship form. 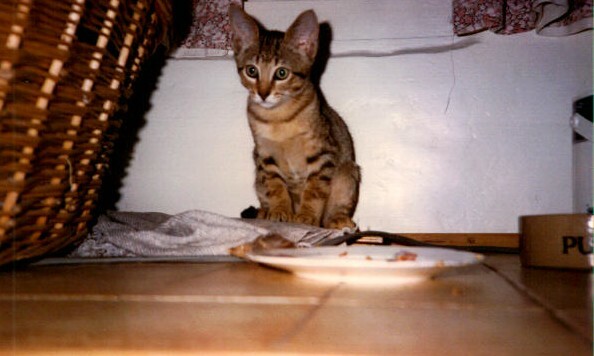 In 1998 Skittle and Teazle, who were then not fully grown, were taken from a colony living on an industrial estate in Guildford to join a group of free-ranging cats in the rescue centre we used to have at Churt. They are now with a fosterer. Teazle, who has a nice nature, is friendly with her although shy with strangers, but Skittle is having none of it and hisses at all and sundry? 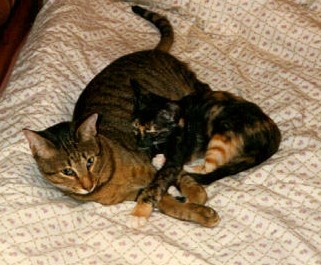 In September 1991 HENRY, a siamese tabby belonging to one of our members, went missing. He came back after five weeks starved, dehydrated and gravely ill after apparently being trapped on a building site. He was having convulsions and despite the vet's very best efforts was not expected to live. His owners co ntacted an animal healer who sent Henry absent healing. Next day his condition showed an astonishing improvement, and he made a complete recovery. Henry died recently at the ripe old age of 17. 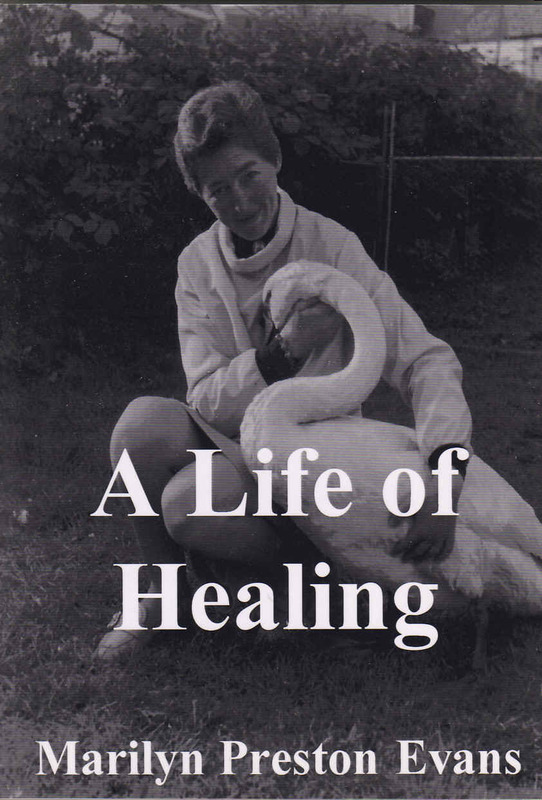 We should be very interested to hear from other people who know of cases like Henry's involving animal healing.